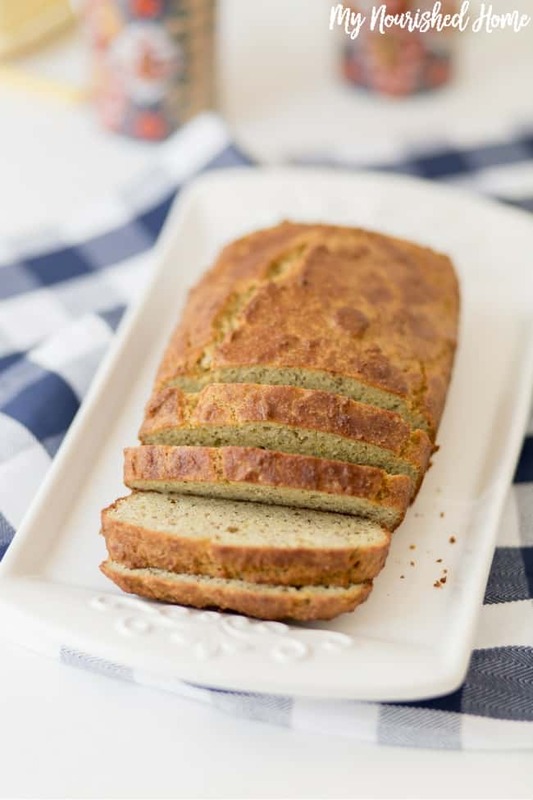 This Clean Almond Loaf Bread is a delicious solution to gluten-free breakfast on-the-go and dinner sides. But never fear, we have banished bad tasting bread… This one is awesome! It works great for Low Carb dieters or those who are grain free for health purposes. My heart goes out to anyone who has to give up bread… truly. It is one of the joys of the dinner table. And nothing smells better than a fresh loaf cooking. But in an effort to eat a balanced diet, we switch up a lot of the grains we eat rather than relying on a single ingredient to make up a significant portion of our diet. I recognize that everyone doesn’t have that luxury. I have a dear friend who has Celiac – who loves food – but whose meals are a constant battle. We also have a family friend with a child who is completely intolerant of grains. 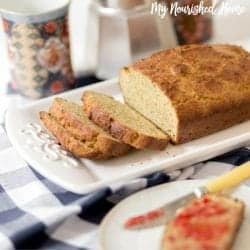 My husband and kids love this bread. It is in regular rotation on our Saturday morning late breakfast. It is super tasty with a nice smear of my dad’s peach jam or my kids’ favorite strawberry. The taste is fresh and bright. And the texture is hearty but tender. We usually double it and make two loaves so we can grab a slice with a piece of fruit for breakfast during the week. I will be honest, I have always been a little worried about the whole concept of gluten free baking. But this bread was much more like quick bread – simple and delicious. 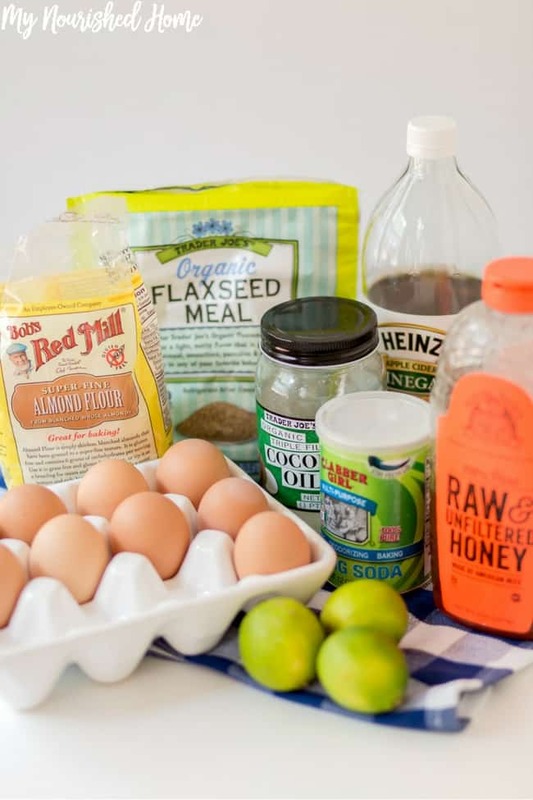 Looking for more healthy baking recipes? These Healthy Chocolate Muffins are not gluten-free, but they are clean! You will never know they are whole grain. This is one of the most popular recipes for a reason! Preheat oven to 350. Spray a 9x5 loaf pan with cooking spray, set aside. In a bowl combine all the dry ingredients. Whisk until there are no lumps. In another bowl combine all the wet ingredients. Pour into the dry ingredients and whisk until well combined - about 3 or 4 minutes. 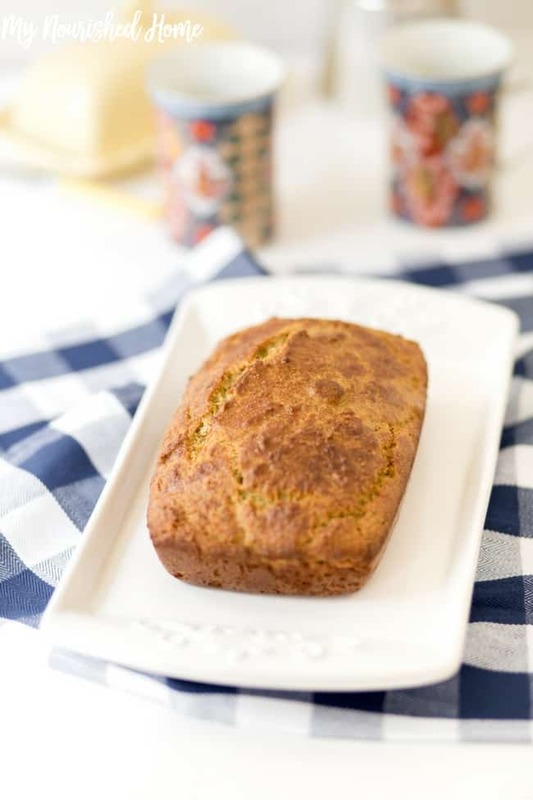 Pour into the prepared bread loaf pan. Bake for about 30 minutes, or until the toothpick test comes out clean. Allow to cool completely in pan before removing it. Slice and serve with butter! Previous Post: « Should Kids Do Chores?